Facial recognition has demonstrated the ability to significantly increase and improve an organizations security and safety. 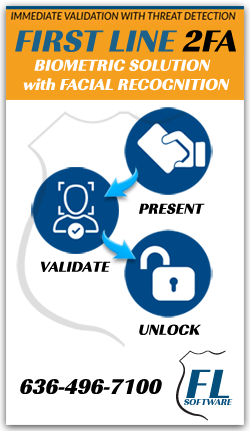 When Facial Recognition is interfaced into and physical or computer access control environment it adds another dimension to multi-factor authentication. The purpose of this short post is outline a few Internet of Things (IoT) architectural considerations to implement facial recognition and ensure that based upon the requirements will meet the business and operational goals or your particular use case. 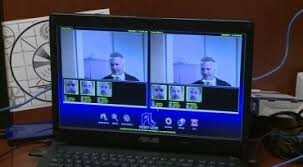 Using facial recognition must be considered in the context of the use case, behavior management and security response latency required at the deployment location. Facial recognition approaches combine computer vision and machine learning algorithms to provide reliable identification from video streaming devices. These methods can be computationally intensive depending on the complexity of decision required at that location. If the recognition event needs to go the next step to high confidence facial identification, then there is an additional compute requirement to search a list of known faces. Most of this can be done using a modest embedded computing appliance for a few locations. This is the Blue Line Technology approach that has been used for grocery and convenience store locations with limited entry locations. The decision data is, has an unobstructed face been seen at this door. If yes, the door is unlocked providing friction free access to the store. To minimize the decision time latency, the logical network edge deployment of this appliance would be virtually one hop from the camera source. For schools, this same setup for retail is installed with the decision data being is the face at the door match a registered face on the access list. If yes, the door is unlocked and access is granted. This setup has worked well at St Mary’s High School, In Missouri for almost 5 years. The next level implementation would be to interface the appliance capabilities with other operational technologies like access control systems that provide additional IoT devices on the edge. Door controllers, card readers, Bluetooth devices, lighting, security monitoring, environment controls are a few edge technologies where you may want to tie a face to authorized activities. This use case for an enterprise would include segregating the edge security devices on a dedicated network and enterprise cloud data management personal information and security credentials. In this case the IoT embedded appliance provides a bridge between operational networks and IT when used to augment security operations. We discussed using IoT fully embedded appliances here. The next installment will discuss using IoT cloud connected appliances.